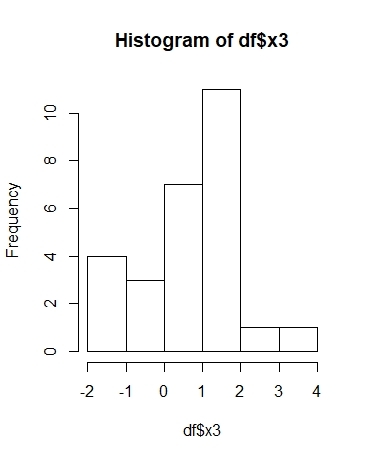 Assuming you only want the side-effects of hist (printed histogram), not the returned values, you can add a %>% invisible() to the end of the chain to not print the resulting tibble. facet_wrap(~x2) # optional: use argument "ncols = 1"
I really like @Gregor's answer with group_walk, but it's still listed as experimental in dplyr v0.8.0.1. If you want to avoid working with functions that may break later, I'd use base split, then purrr::walk. I'm using walk and plot to avoid all the text printout that hist gives. 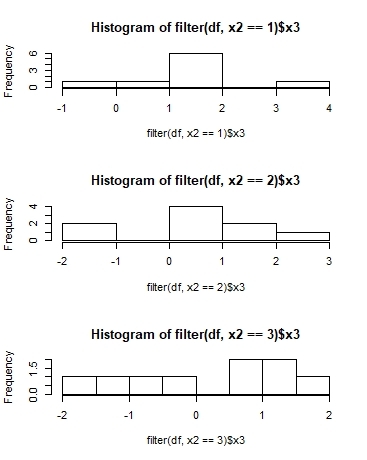 Requirements for histograms, or why does my histogram only has two bins?